Earth meets elegance. Respect the planet with EnvironMat™, the 100% post-consumer recycled chairmat made from over 128 recycled beverage bottles. User-friendly and environmentally responsible. 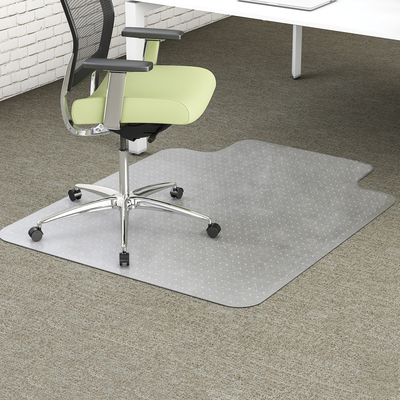 Easy-glide rolling surface provides effortless chair movement. Classic straight edge finish.